AUSTIN, Texas—Seeing Shen Yun Performing Arts was a thoroughly interesting and exciting experience for Franz Fink, director at Pason Systems Corporation. 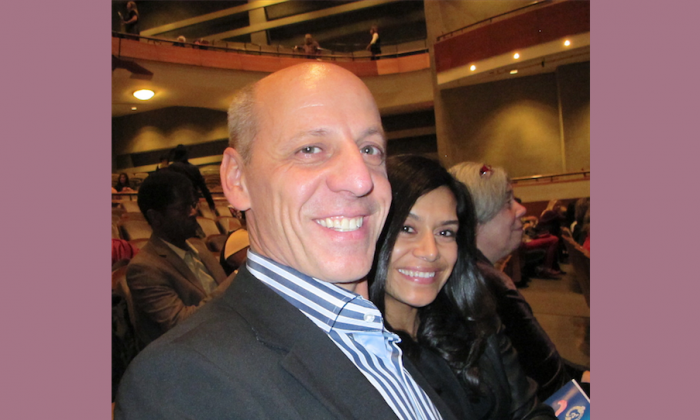 Mr. Fink enjoyed the performance at The Long Center for the Performing Arts in Austin on Dec. 27. “It’s timeless traveling, but then at the same time, [it] energizes you,” he said. Through music and dance, New York-based Shen Yun takes audience members on a journey through 5,000 years of Chinese history and culture. Shen Yun puts on entirely new performances each year, featuring the world’s elite classically trained dancers and a unique orchestra that blends Eastern and Western influences. Mr. Fink has been a member of the board of directors for Pason since 2012. Pason provides instrumentation and data management systems for land-based and offshore drilling rigs. Before 2012, Mr. Fink was president and CEO of Gennum Corporation, a semi-conductor technology company. Reporting by Teresa Luo and Ruth Li.